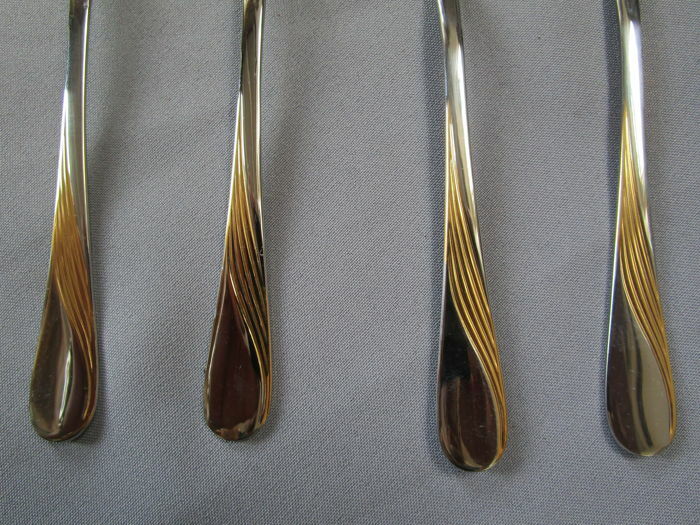 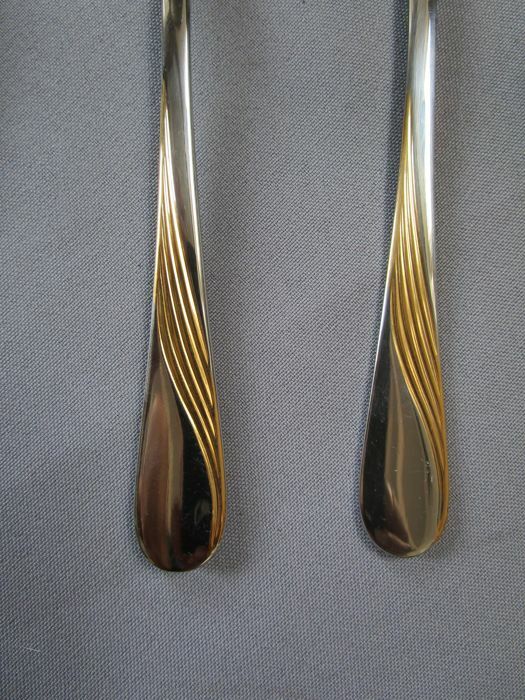 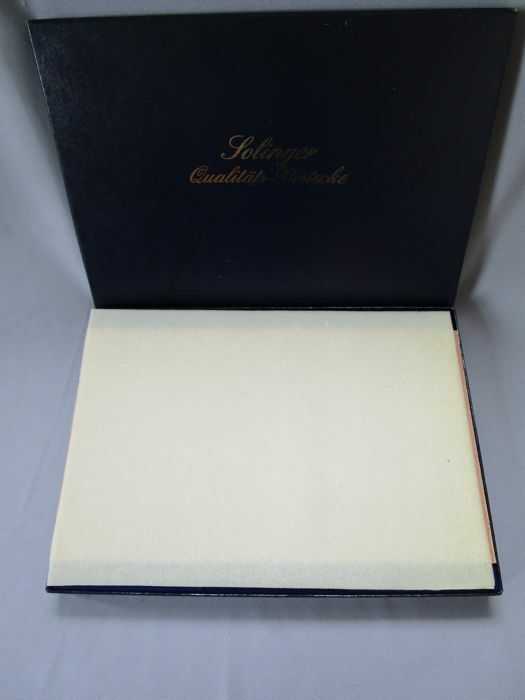 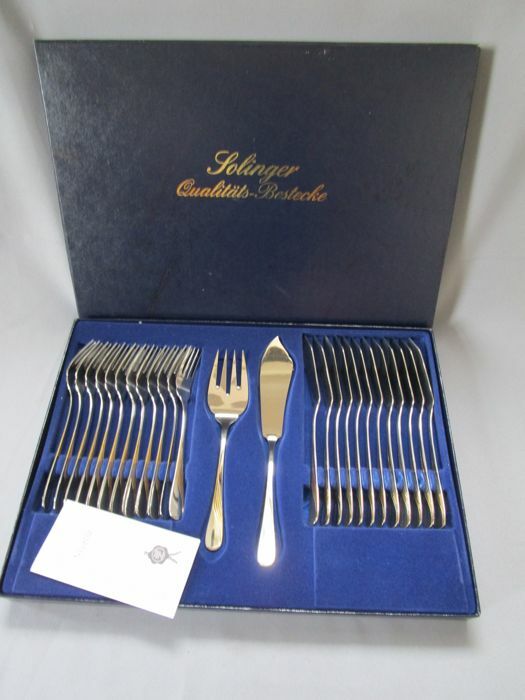 For auction is a 23/24 karat hard gold plated cutlery set from Solingen in Germany in the original case. 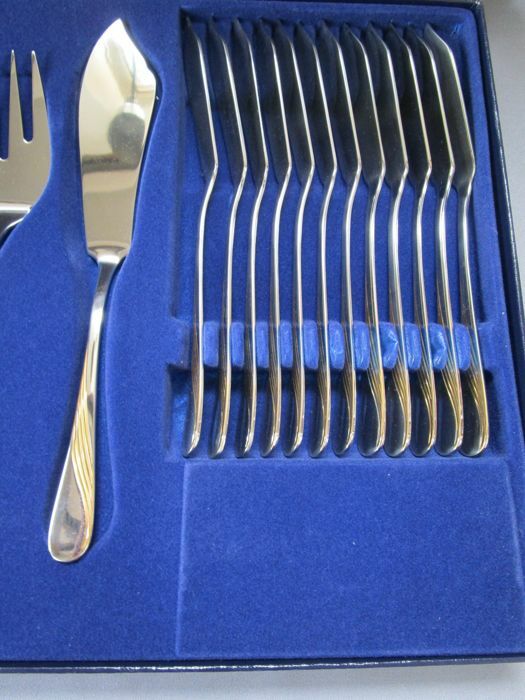 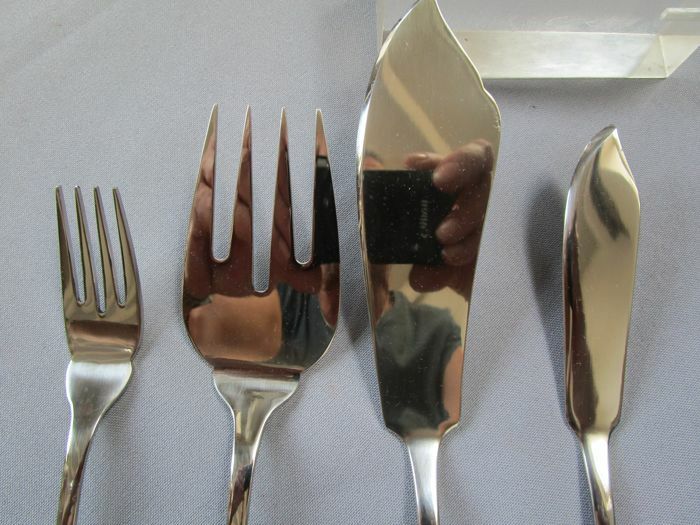 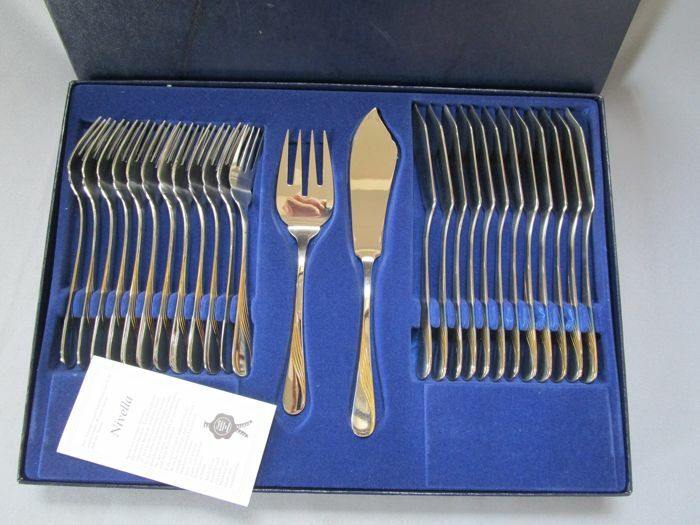 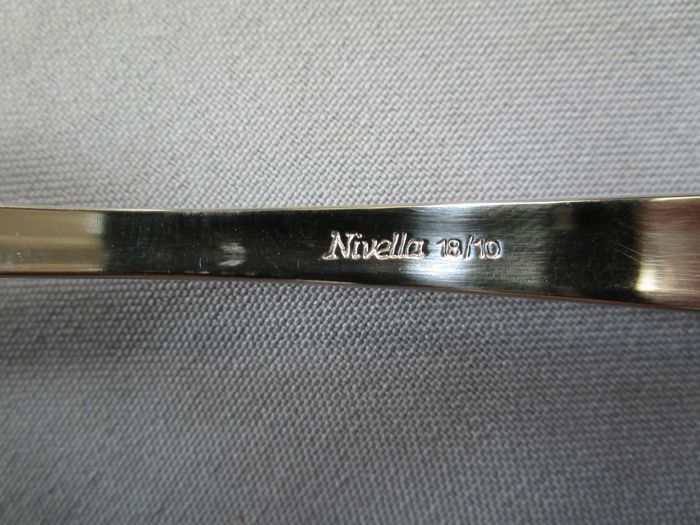 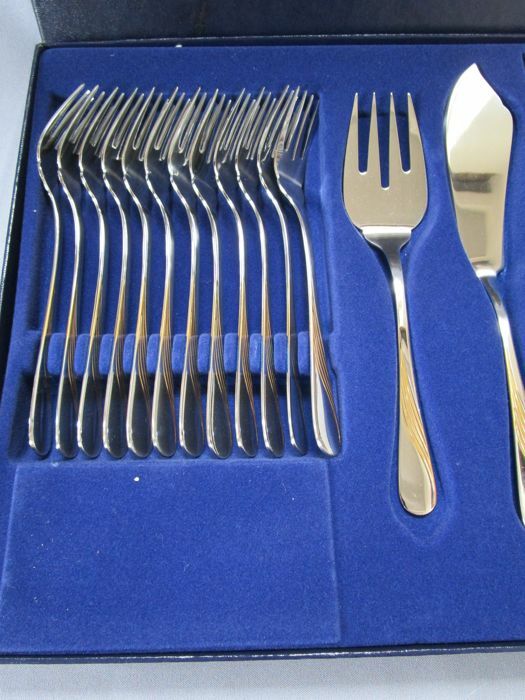 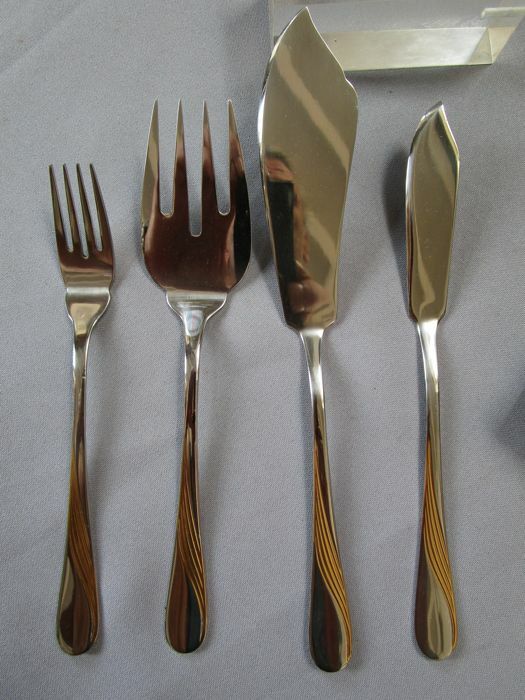 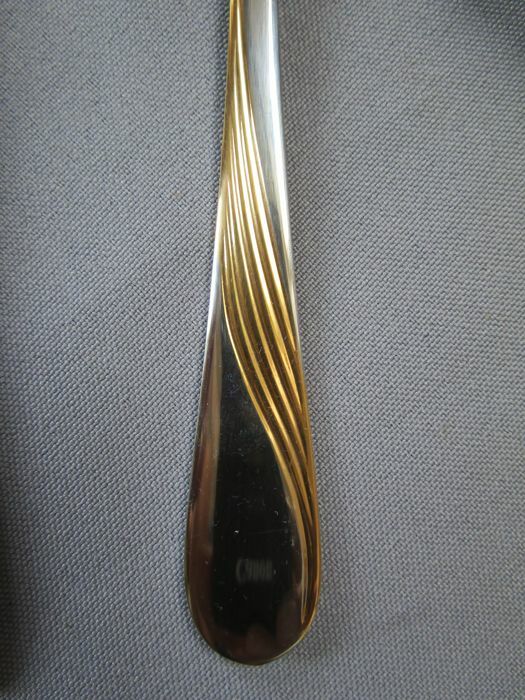 This cutlery set consists of 26 pieces and is in mint, unused condition. 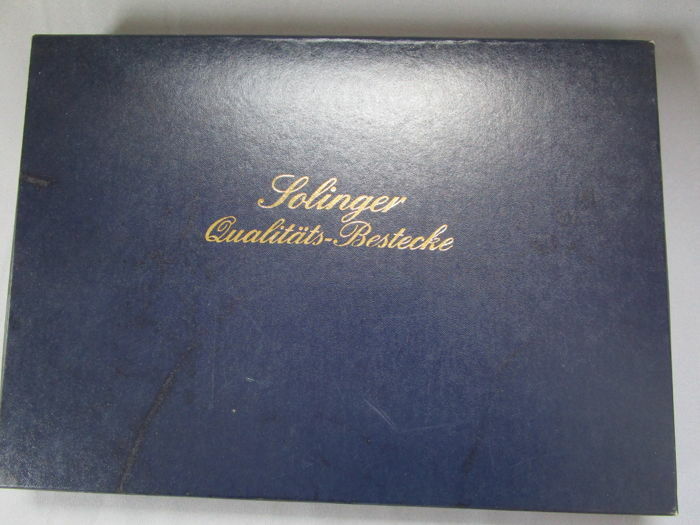 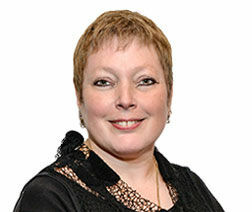 Shipping as a parcel will cost €23.